Are you on the lookout for a fresh and zesty summer appetizer? These melon and prosciutto skewers will be just the thing you need! With the combination of refreshing melon and sweet prosciutto, not only will each bite be delicious, but also satisfying! To top it off, this appetizer is about as simple and easy as you can get without sacrificing an ounce of robust flavor. 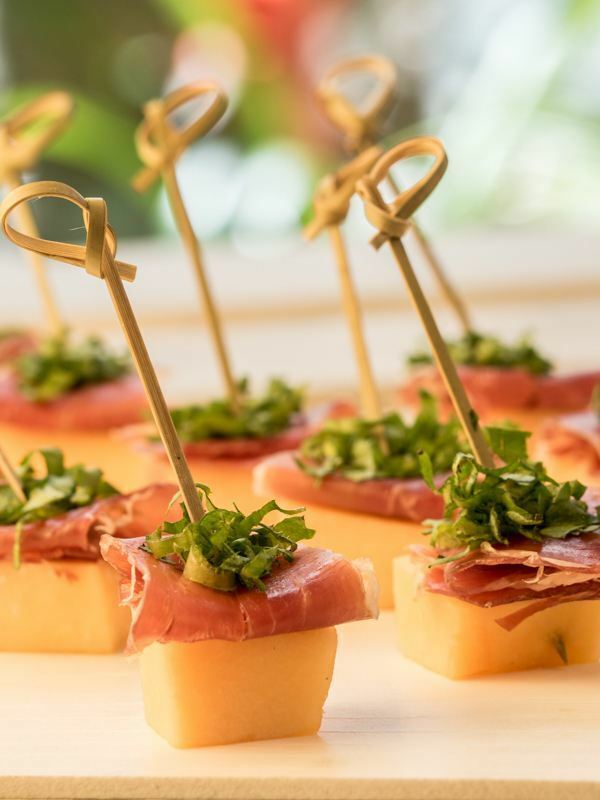 Each skewer is layered with melon pieces of your choice and slices of prosciutto, along with fresh greens. With these healthy ingredients, this is an appetizer you won’t need to feel guilty about, and you’ll still love it just as much. 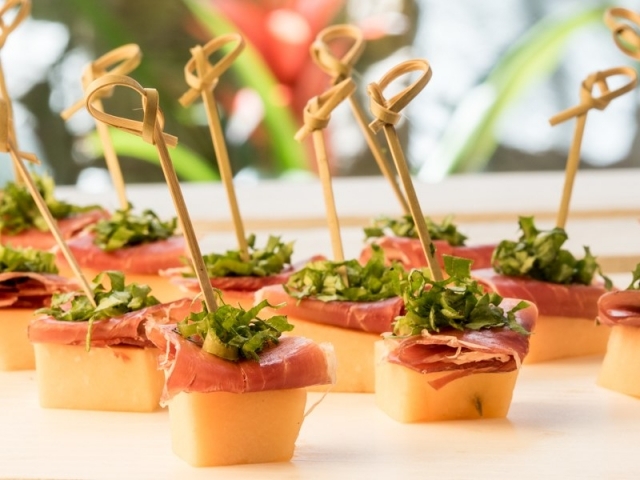 We absolutely love the mix of fruit and meat in this balanced hors-d’oeuvre. Are you on the lookout for a fresh and zesty summer appetizer? These melon and prosciutto skewers will be just the thing you need! In a large bowl, mix the greens with some olive oil until moist. 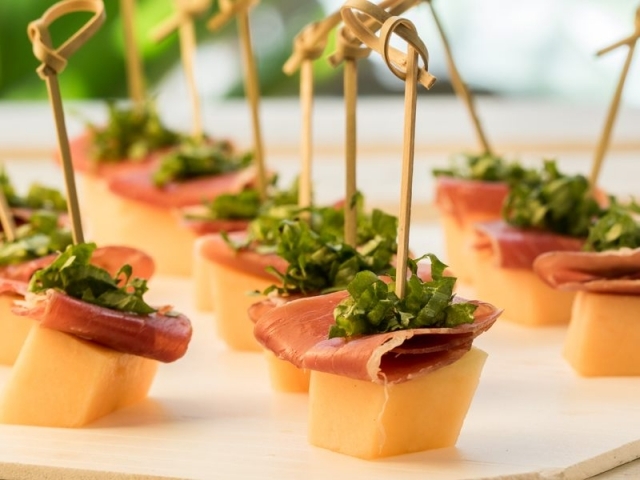 On each skewer place one piece of melon, one slice of prosciutto and the chopped greens. 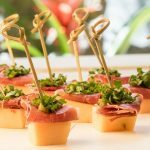 Serving food on skewers never seems to go out of style, whether for a meal or appetizer, and that concept certainly applies to this recipe. After all, skewers allow for a great combination of flavors as well as easy preparation. With this appetizer, simply select your melon (watermelon or cantaloupe both work wonderfully! 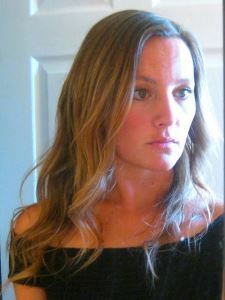 ), and slice it into square, bite-size pieces. You could even use an ice cream scoop to create melon balls instead if you find that easier! As for the fresh greens, basil leaves are a popular choice. These skewers are delicious just as the recipe is written, and they can also be easily customized by adding other ingredients such as mozzarella balls or avocado pieces. We hope you enjoyed this recipe! Have you made skewers similar to these before? Please let us know your thoughts in the comments and if you enjoyed the recipe, we’d love it if you’d share it with your friends and family!